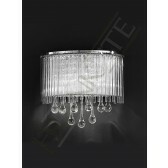 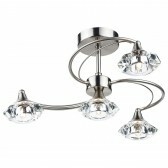 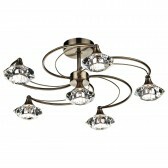 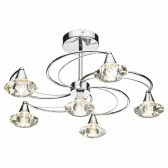 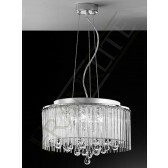 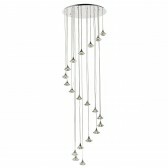 The smart 8 light pendant light design, offers you a beautiful chrome finish, from the Spirit range by Franklite. 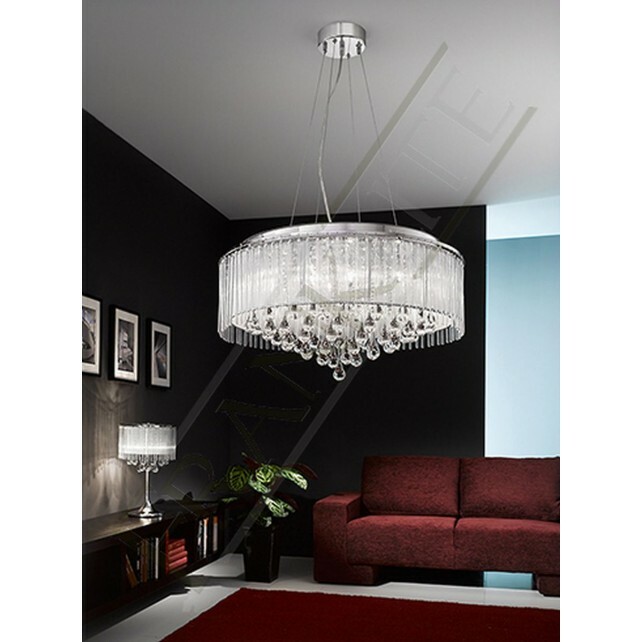 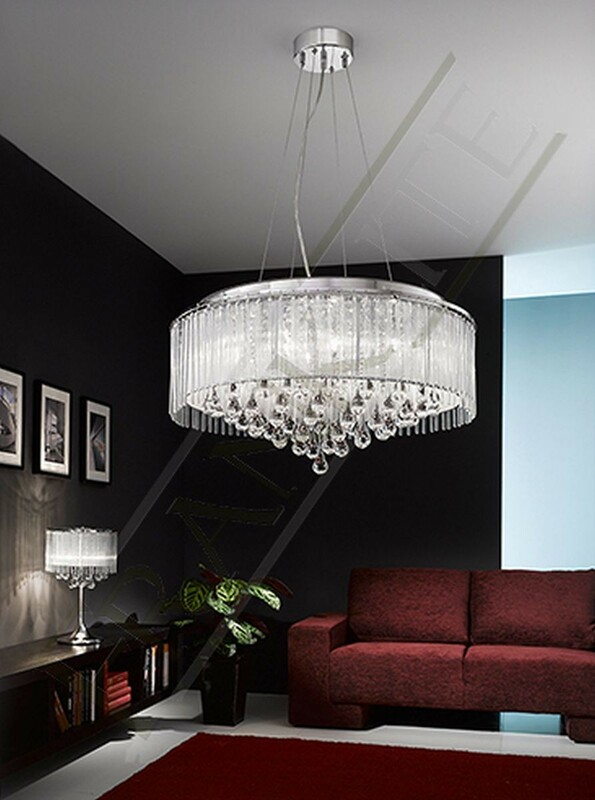 This modern design features crystal detail with crystals inside the lurex fabric shade and teardrop shaped smooth glass droplets hanging beneath it. 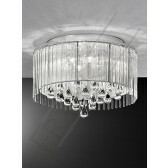 The elegant light is supplied with 40W G9 halogen lamps which are suitable for dimming. 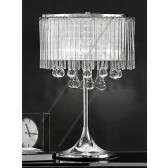 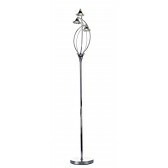 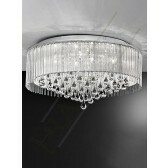 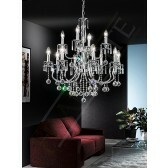 A beautiful additional for your living or dining room area.